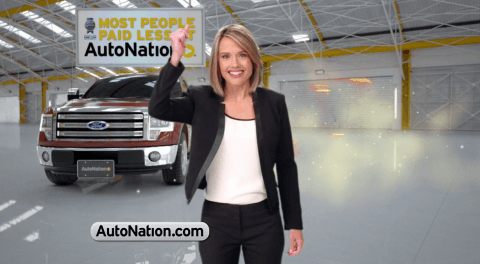 Monica is proud to be the spokesperson for AutoNation. She has made all sorts of commercials for TV, Radio, print and digital content. 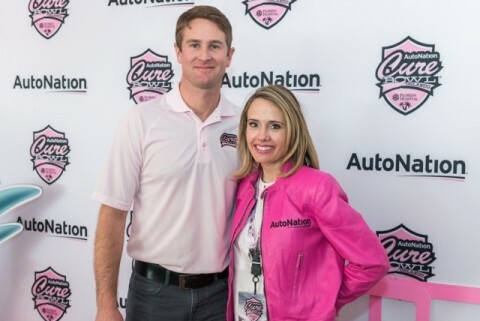 She got to shoot a spot with Ryan Hunter-Reay of Indy Car fame, who also works with AutoNation. 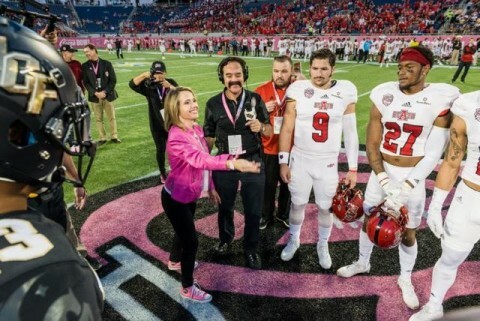 Additionally, she is proud to be able to stand with AutoNation on December 19, 2015 at the first ever “AutoNation Cure Bowl” where all tickets will benefit Breast Cancer research. 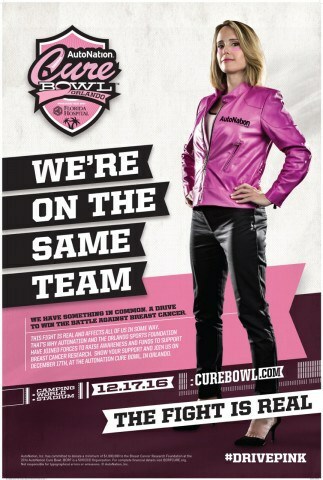 Look for special tv and print ads about the CureBowl to be held at the Orlando Citrus Bowl in Florida soon! Campaign includes: TV, Radio, print, and online.